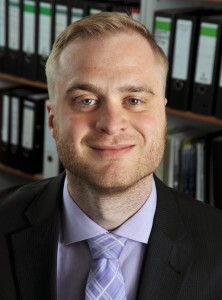 Michael WYRWICH is currently post-doc researcher and lecturer at the Chair of Business Dynamics, Innovation and Economic Change at the Friedrich-Schiller-University of Jena. He was awarded a Diploma and a PhD in Economics from the Department of Economics and Business Administration at the same university. His main research interests focus on new business formation across regions from an institutional and historical angle. Dr Wyrwich works in diverse interdisciplinary projects at the Friedrich-Schiller-University of Jena and presented his work at numerous international conferences. His articles have been published in peer-reviewed journals and edited volumes. Wyrwich, Michael: Can socioeconomic heritage produce a lost generation with regard to entrepreneurship? Journal of Business Venturing. 28 (2013), 667-682. Wyrwich, Michael: Regional entrepreneurial heritage in a socialist and a post- socialist economy. Economic Geography, 88 (2012), 423-445. Wyrwich, Michael: The role of regional conditions for newly emerging KIBS industries in the face of radical institutional change. European Planning Studies, 21 (2013), 1760-1778.